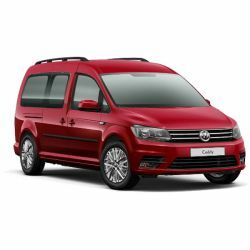 The Caddy Life and Caddy Maxi Life combine space, luxury, safety and quality in equal measure. They’re styled to not only look great, but to work hard for families and commercial customers alike. Offering flexibility and economy with their range of Euro 6 TDI diesel and TSI petrol engines, all models combine the ability to seat up to seven (including the driver), with the ability to transport heavy or bulky items. Even when fully-loaded with passengers, there’s plenty of space for occupants to store their kit and still have ample room to relax. And with a well thought-out interior, featuring numerous storage pockets, drawers, nets and trays, there’s a place for everything you’ll bring along. Whichever Caddy Life you choose, you’ll discover it’s the perfect companion for the journey.